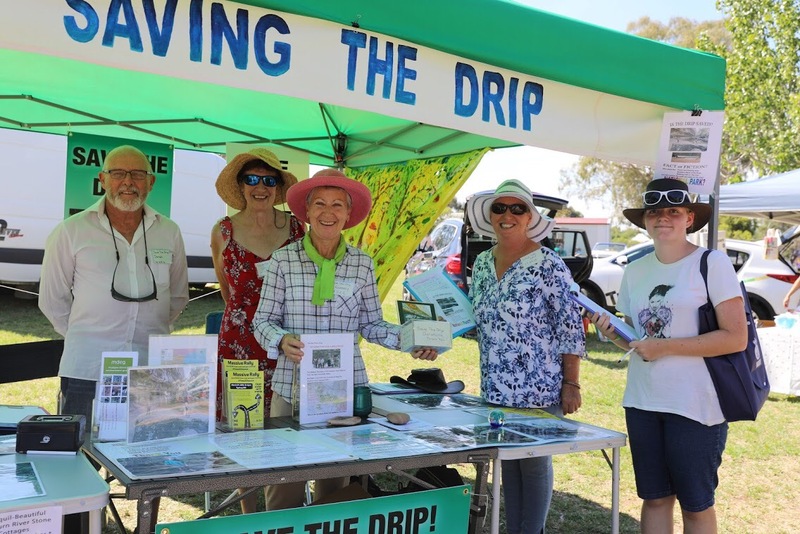 At Mudgee Show we were overwhelmed with the level of support within the community for our save the Drip Campaign. The Drip is still under threat from mining expansion in the area. Visitors to the show were shocked to find out that the Drip has not been saved as promised by the NSW government in 2014. We would like to thank the people who enthusiastically signed the petition. By showing their support for this issue they are taking action to preserve The Drip for future generations. This community spirit is consistent across all the other events where we have held our stalls; Gulgong Show, Rylstone Show, Mudgee Makers Market and various street stalls.